All stock must go! Find a deal at never before to be repeated prices for storage solutions and furniture of this high quality. Two (2) door oversized base cabinet is popular for projects requiring shelf storage. 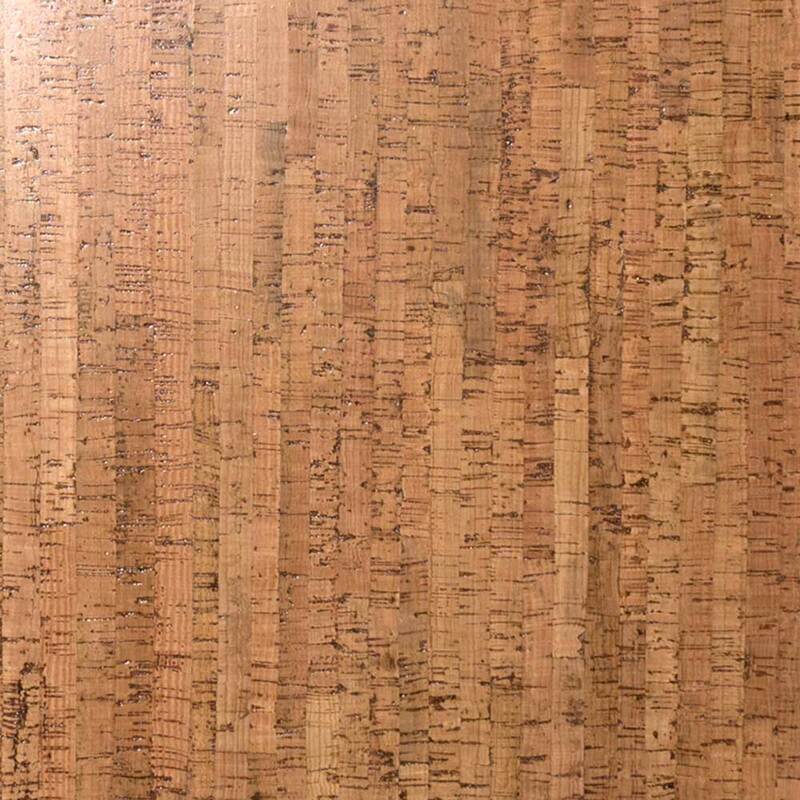 Features unique Polyurethane coated cabinet fronts in Starfire Pearl for contemporary style. 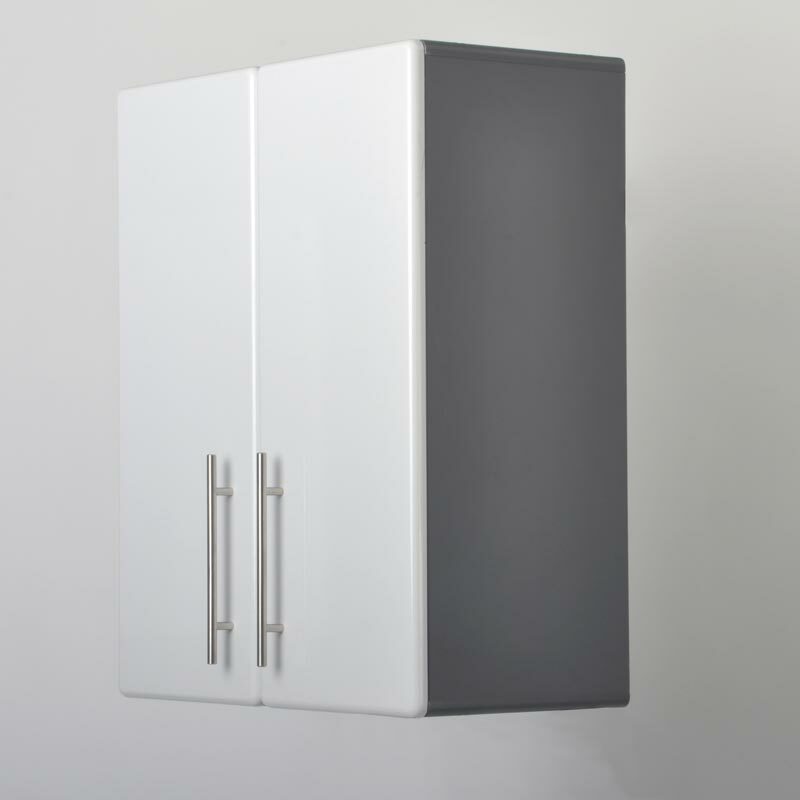 Oversized 3-door partitioned space saving wall cabinet is great for “cubby” storage needs. 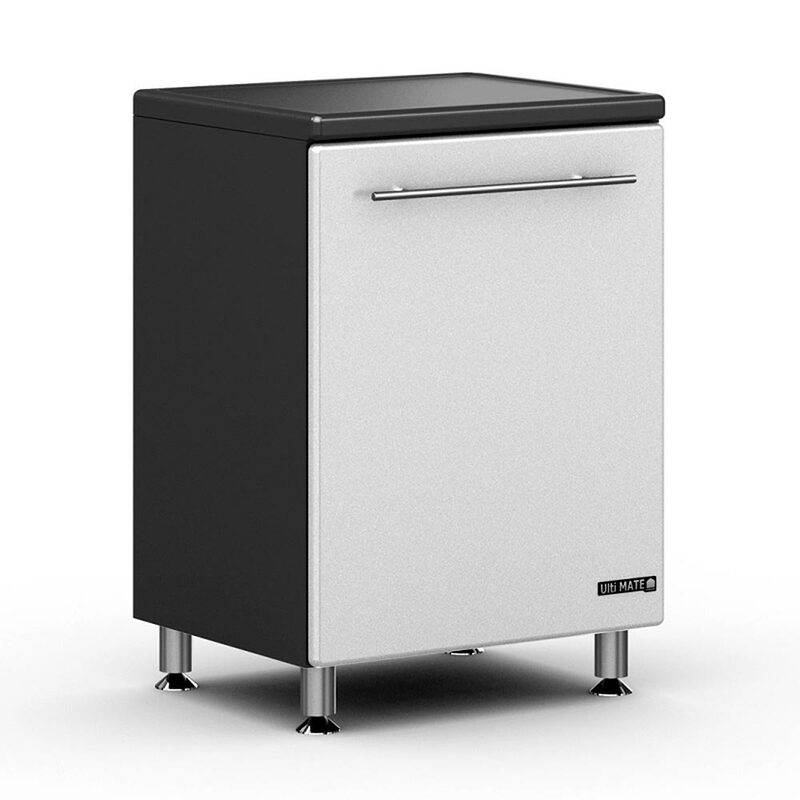 Features unique Polyurethane coated cabinet fronts in Dark Grey or Starfire Pearl for contemporary style, strong 19mm construction, full radius cabinet profile, brushed Chrome handles, adjustable Euro hardware and much more. 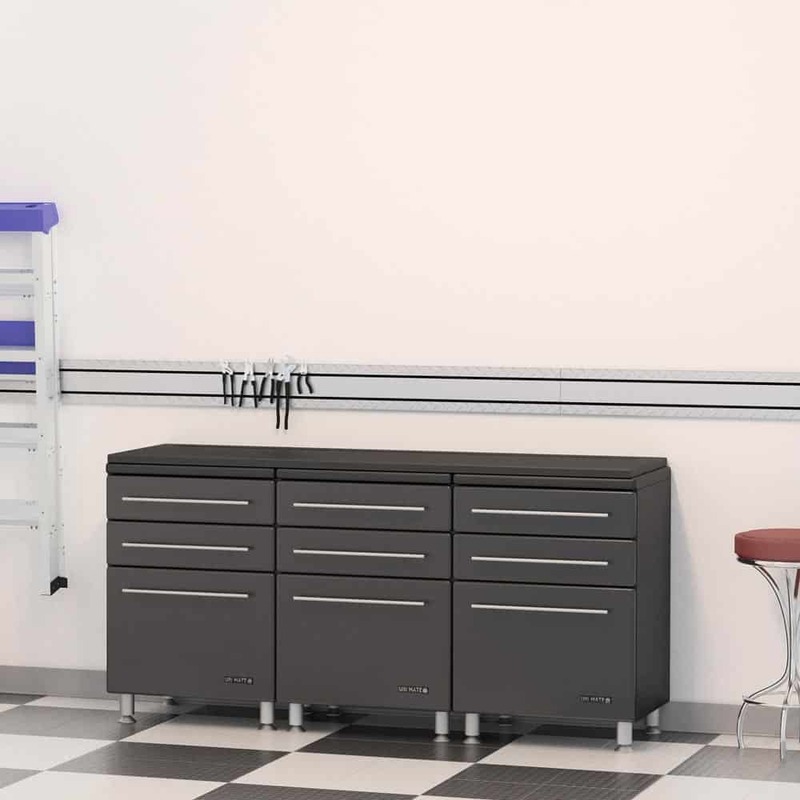 One (1) door base cabinet is popular for projects requiring shelf storage, while standing out with a unique Polyurethane coated Dark Grey or Starfire Pearl. 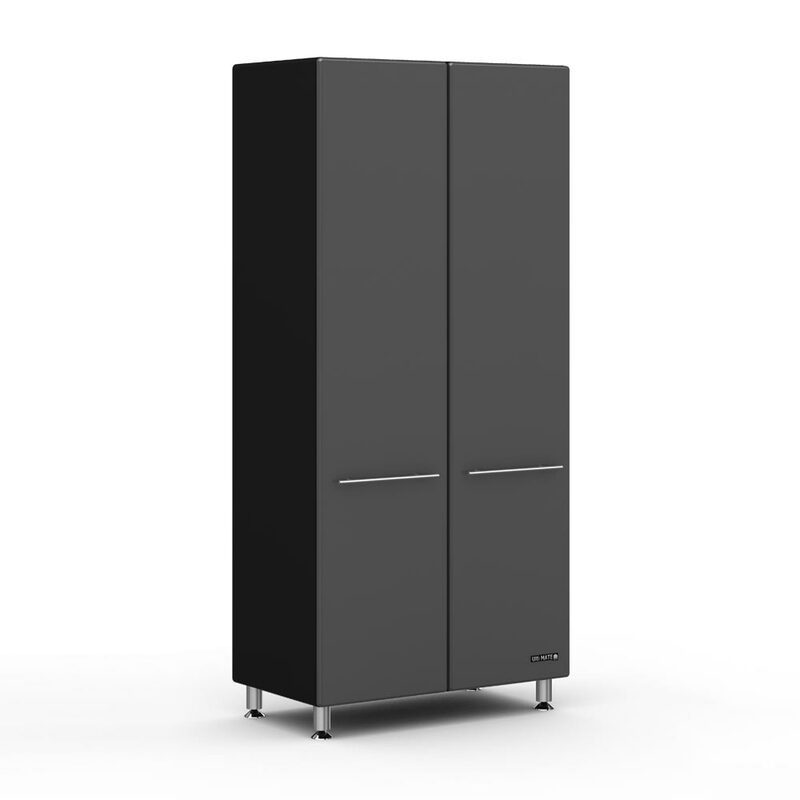 Oversized 2-door tall cabinet with three (3) shelves with 136kgs load rating per will get you organised in a hurry. 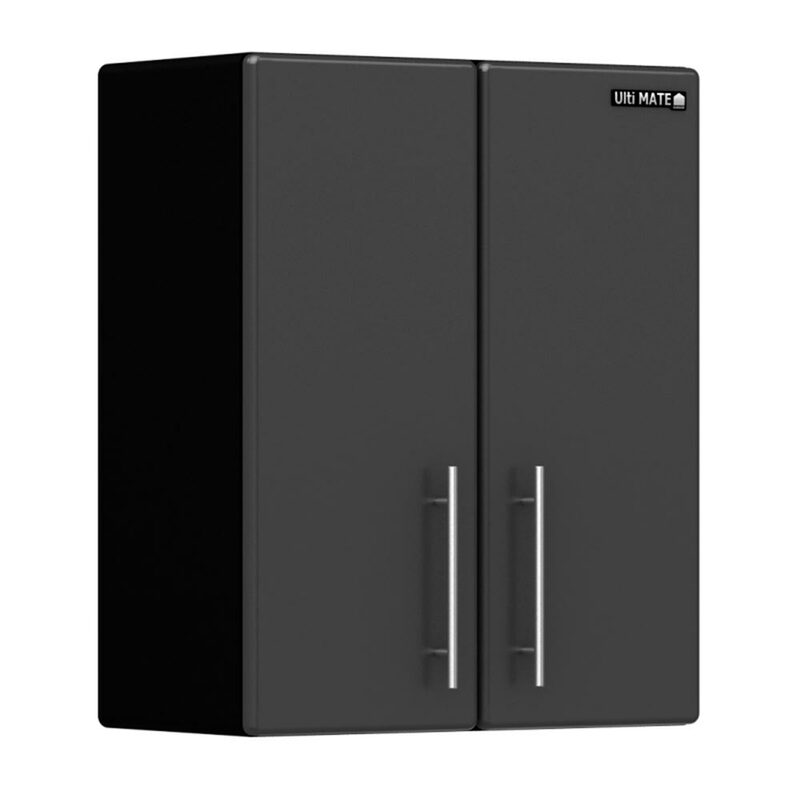 Features unique Polyurethane coated cabinet fronts in Graphite Grey or Starfire Pearl for contemporary style. 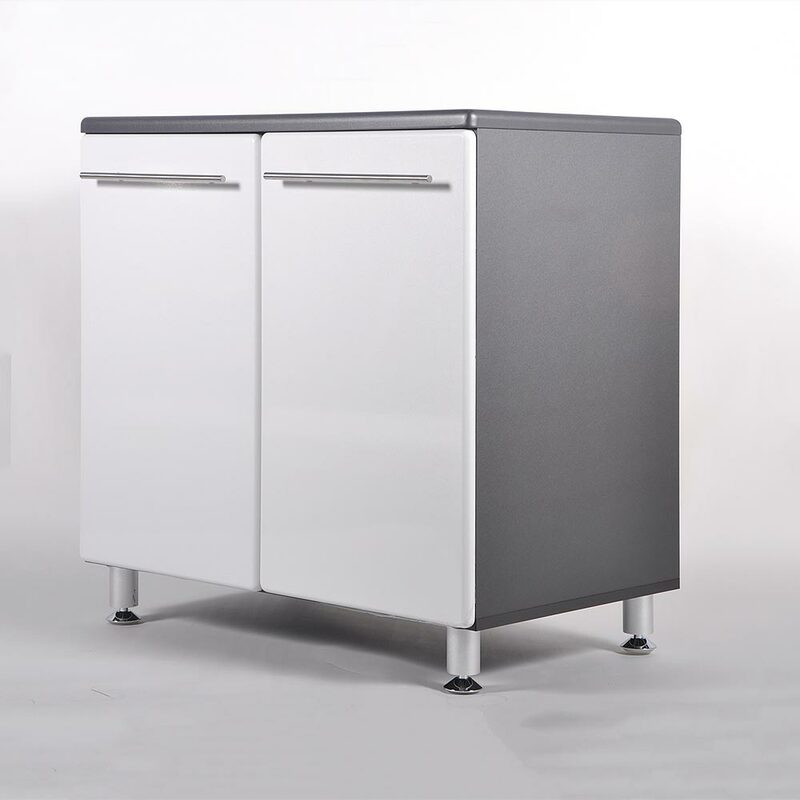 Two (2) door space saving wall cabinet is a favourite, all while standing out in the crowd with unique Graphite Grey or Starfire Pearl for contemporary style. 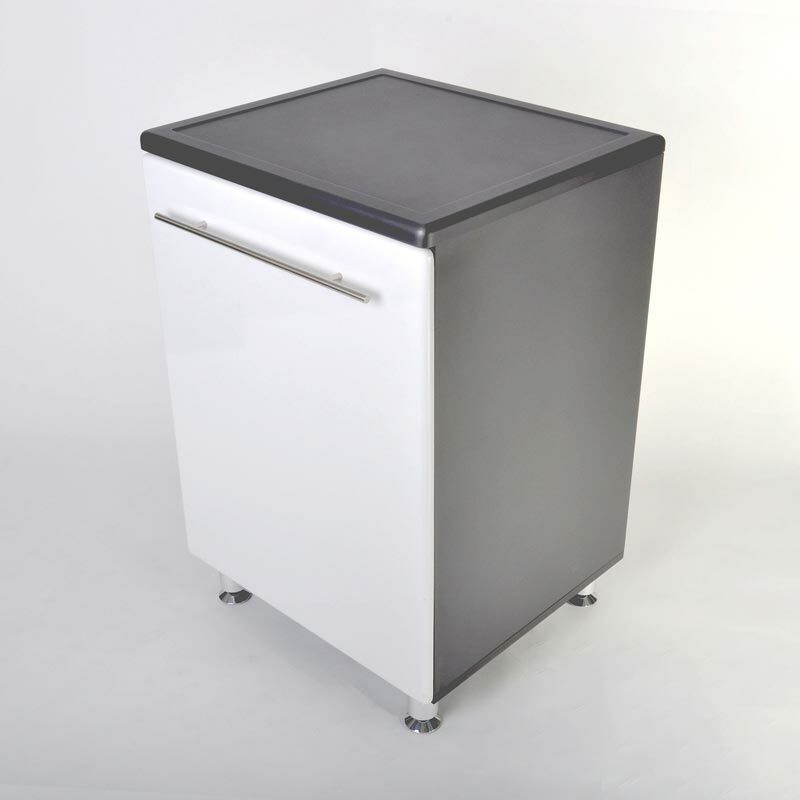 Features strong 19mm” construction, 2-shelves with 136kgs load rating, full radius profile for custom shop style, brushed Chrome handles and much more. 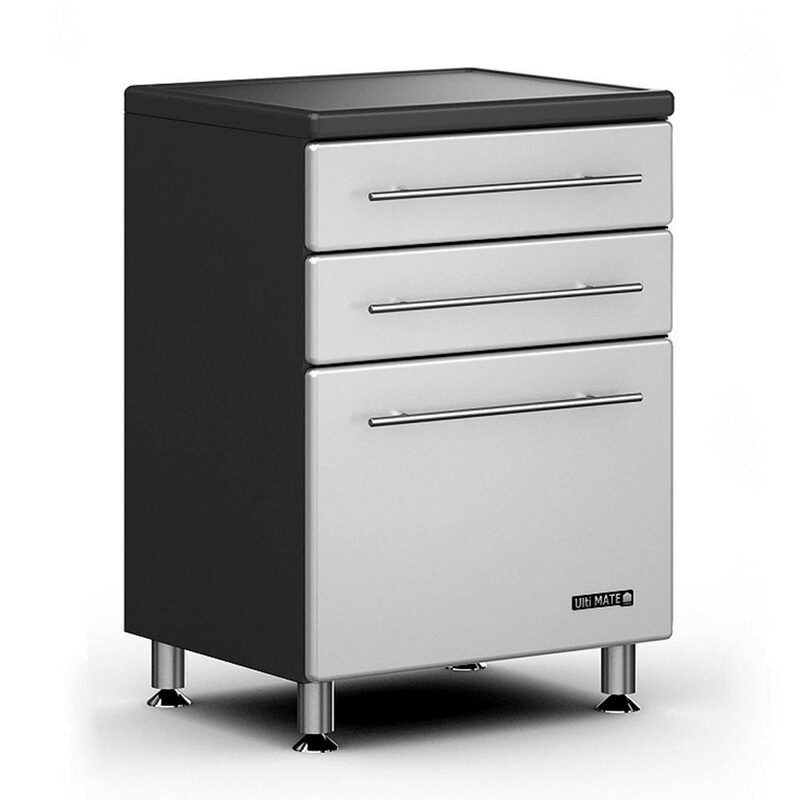 Three (3) drawer base cabinet is a favourite for projects requiring drawer storage. 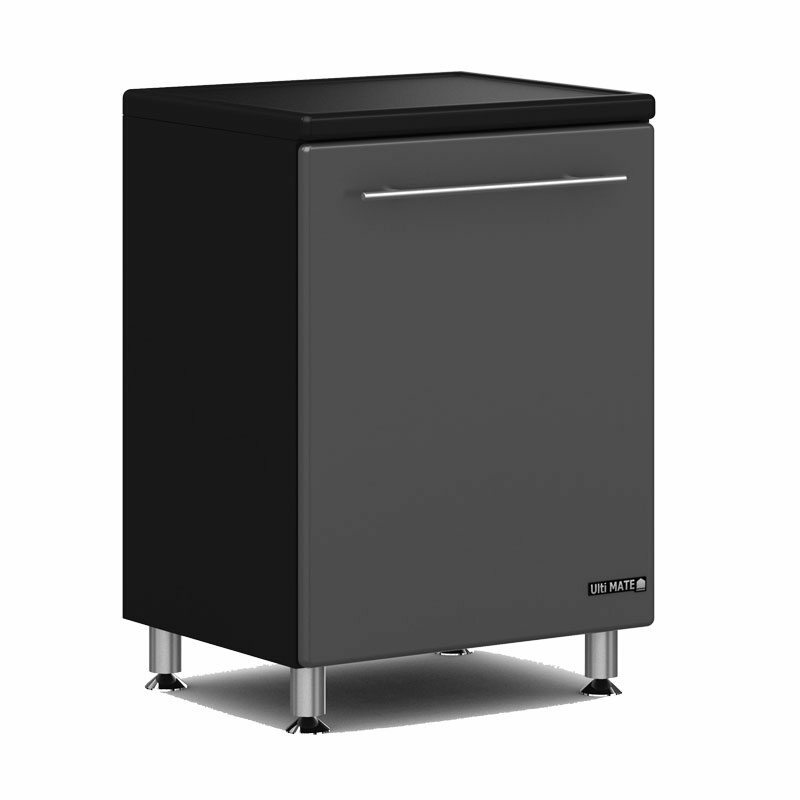 Offers unique Graphite Grey or Starfire Pearl coloured cabinet fronts and full radius profile. 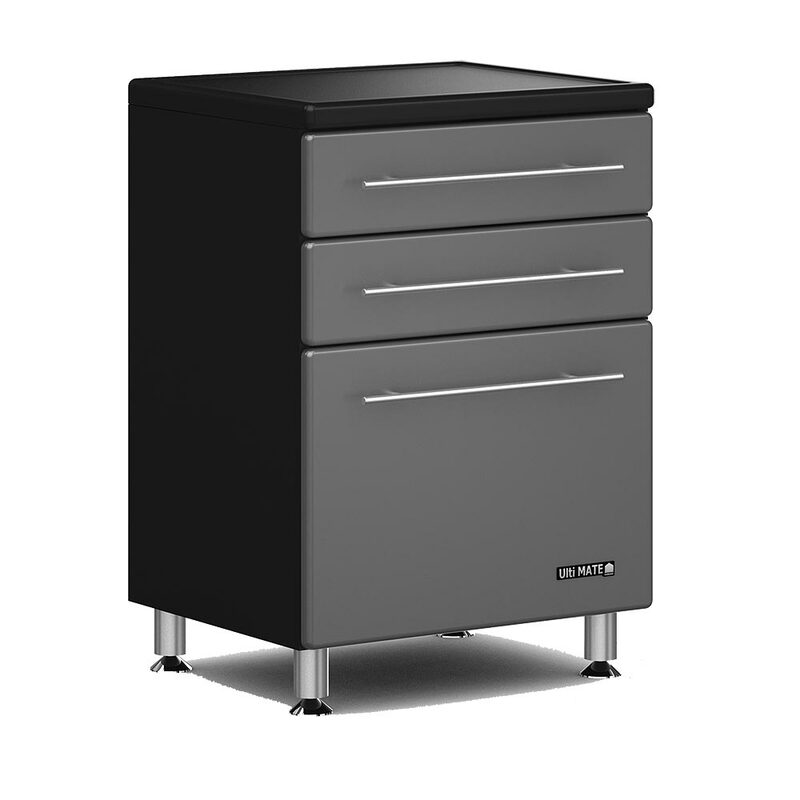 Four (4) piece drawer base cabinet package includes 180cm worktop surface to bridge across base cabinets for a seamless workstation, with full radius profile to complete your project in style. 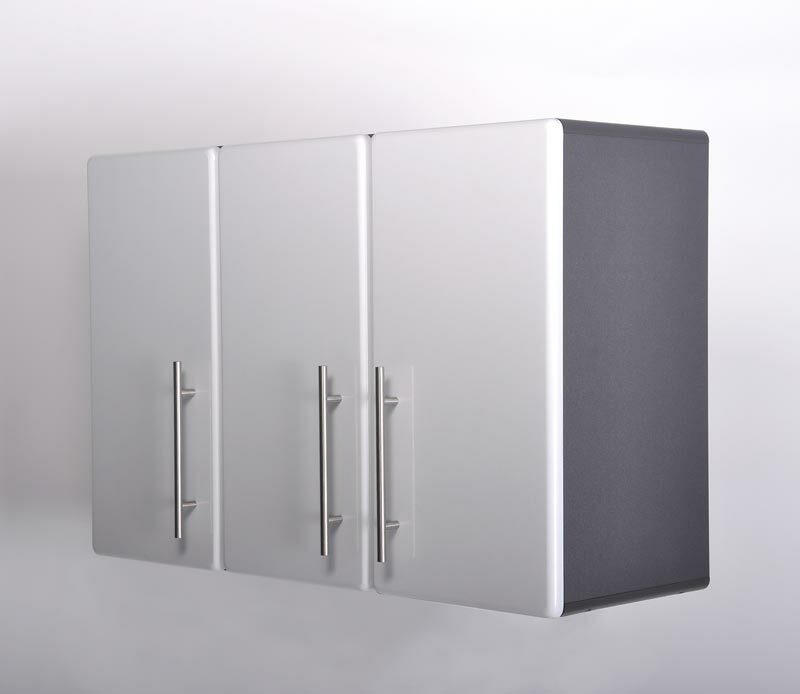 One (1) door base cabinet is popular for projects requiring shelf storage, while standing out in the crowd with unique Starfire Pearl with Metallic Flake coloured cabinet fronts with Grey cabinet.